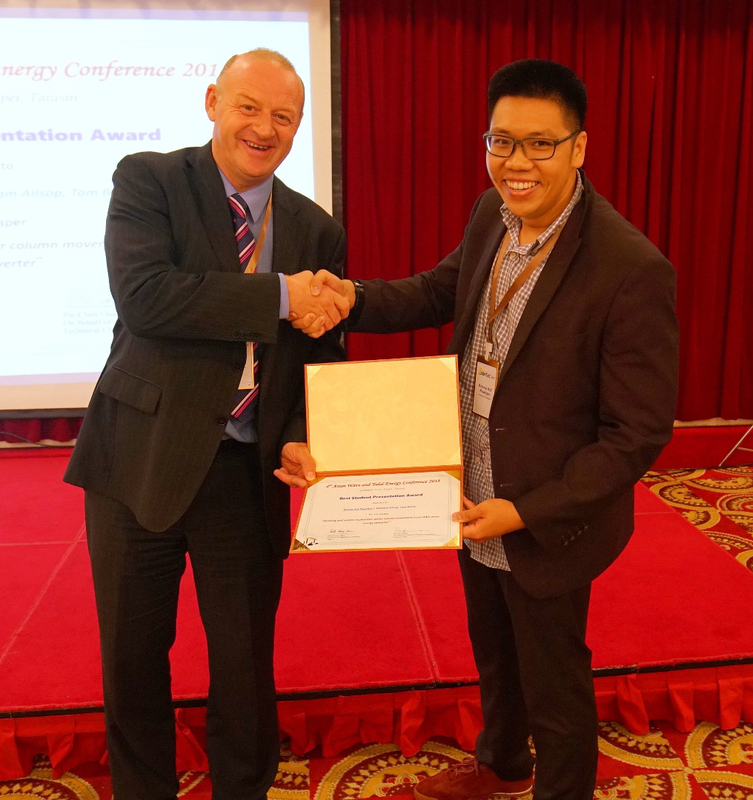 Krisna presented his paper "Sloshing and Violent In-chamber water column movement in an OWC wave energy converter" co-authored with Professors Tom Bruce and William Allsop. The paper related the results of small scale physical model experiments of an Oscillating Water Column wave energy converter that identified the sea conditions under which the water column inside the OWC chamber may behave violently (violent sloshing) with consequences for operation and structural integrity. It was concluded that sloshing is not uncommon for an OWC during operation and therefore must be included as a design consideration.